Located in Cranfield we have offering a professional and reliable window cleaner service since 2005. I can only remember being brought to a holt by snow once……well make that twice now! We have seen some really heavy snow fall this week and the freezing temperatures have made it far too dangerous to clean windows, so feet up with a cuppa it is. 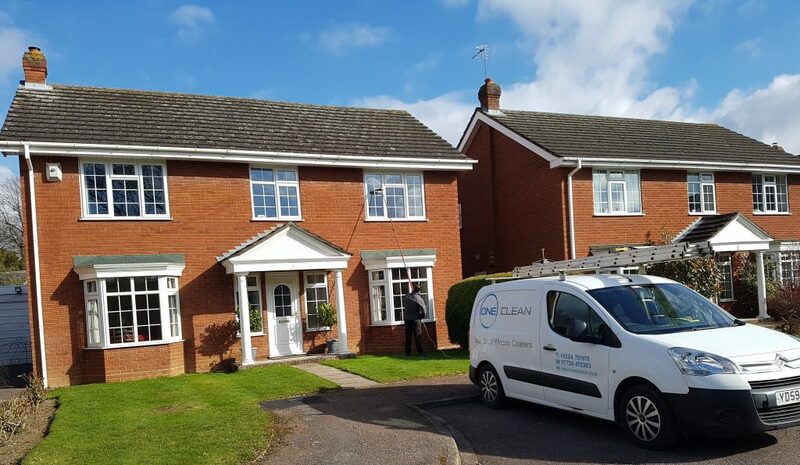 We are delighted to be taking on lots of new customers on all of the new housing estates in Cranfield and we really look forward to keeping your windows lovely and clean. Remember ….do not leave it too long before you have your first clean as brick dust, grit and road dirt can really stain those lovely new frames! Look out for our window cleaning vans across Cranfield and please feel free to come and have a chat! If you have any question please do give us a call and Sophie will be more than happy to help.